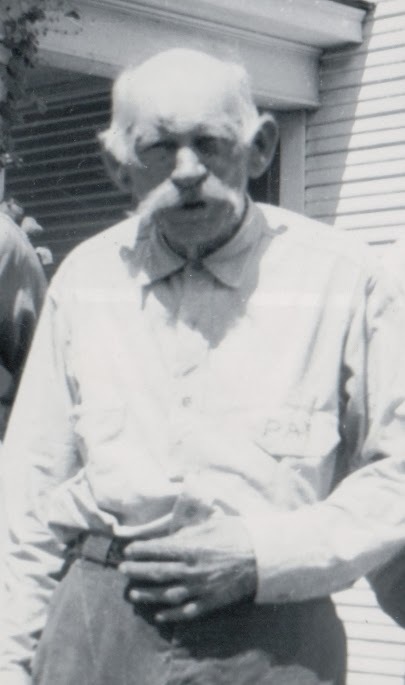 My Grandfather, Jasper Patterson was born in Missouri, on March 12, 1872. Undoubtedly, he was born in Boone County Missouri since the family was there in the 1870 Census. 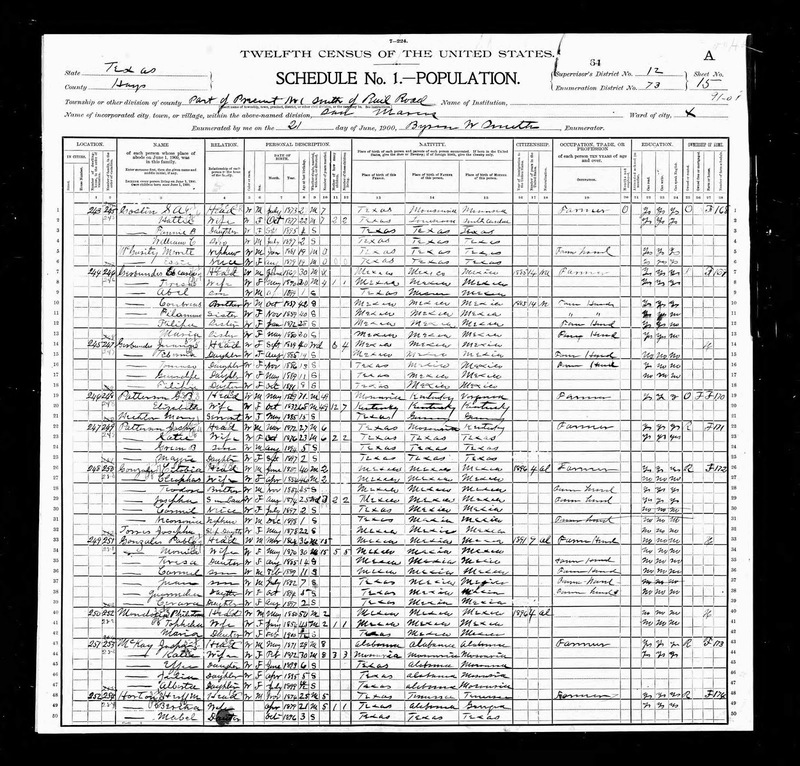 Since the 1890 Census was destroyed in a 1921 fire, the 20 years between 1880 and 1900 have skimpy information. 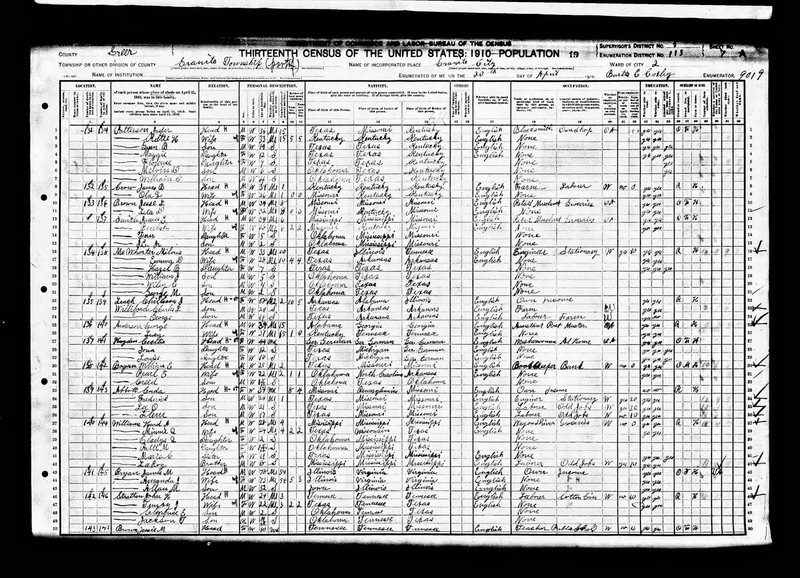 Per the 1900 census, he married my Grandmother in 1894 and fathered two children during that time. I had the pleasure of seeing the family Bible many years ago. It was in the possession of my Uncle, Greenup Bird Patterson (b 1895 d 1982). I transcribed the information and copied it onto a family group sheet, but have been unable to find my original transcription for many years. I lost contact with my Uncle and I'm afraid his third wife may have destroyed the Bible, since his grandson doesn't know what happened to it. 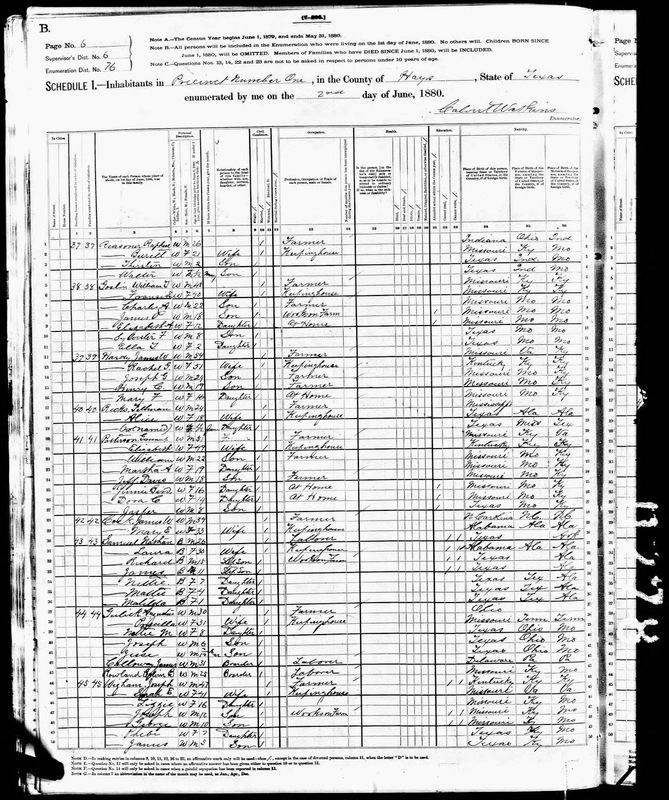 In this 1900 Census, Jasper, and Katie are living next door (same property?) to his parents Greenup Bird (b 1829 d1905) and Elizabeth Wigham Patterson (b 1831 d 1907) with their son, Greenup Bird and daughter, Maggie Patterson (b 1897 d 1993). Jasper and his father Green are both listed as farmers with Green owning his farm and Jasper Renting his. Jasper is listed as a Blacksmith and working in his Own Shop which he owns Free of a Mortgage. 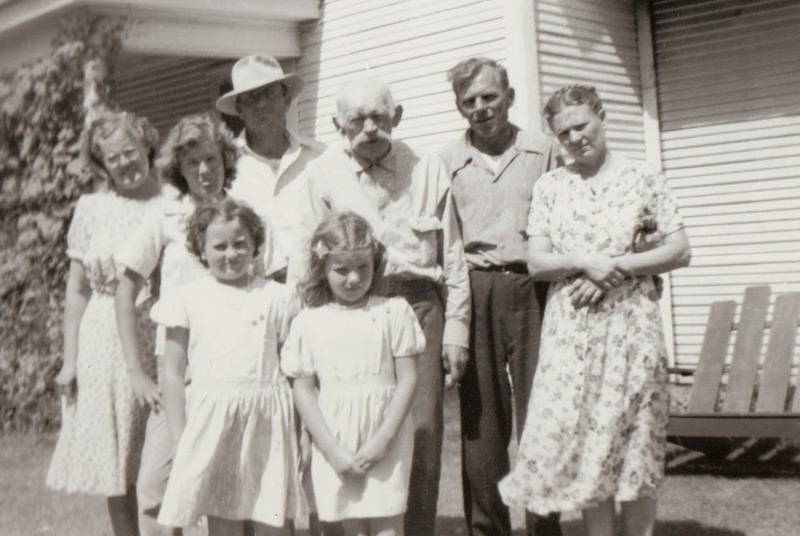 Two more sons were born to Katie, John Kenneth in Dec 1910, and Jasper in March 1913. Jasper was born on the 8th, Katie Died on the 16th and Jasper died on March 29th. Jasper Senior was left with six children to raise. Greenup was 16 and Maggie was 13 so they could help, but it must have been very difficult. 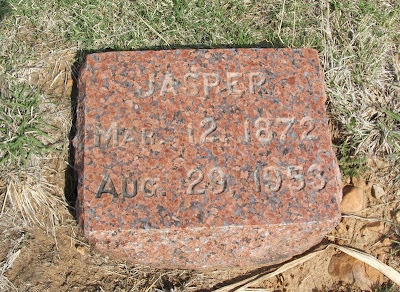 Jasper actually married again within the year, but that wife also died in 1914. He never married again. 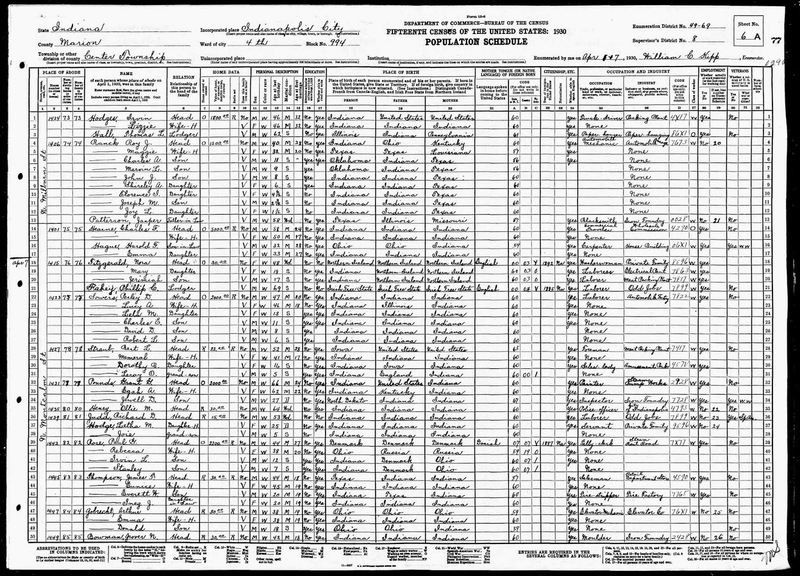 1920 Census- 1/7/1920 - Oklahoma City living with son, Greenup as Head of household. 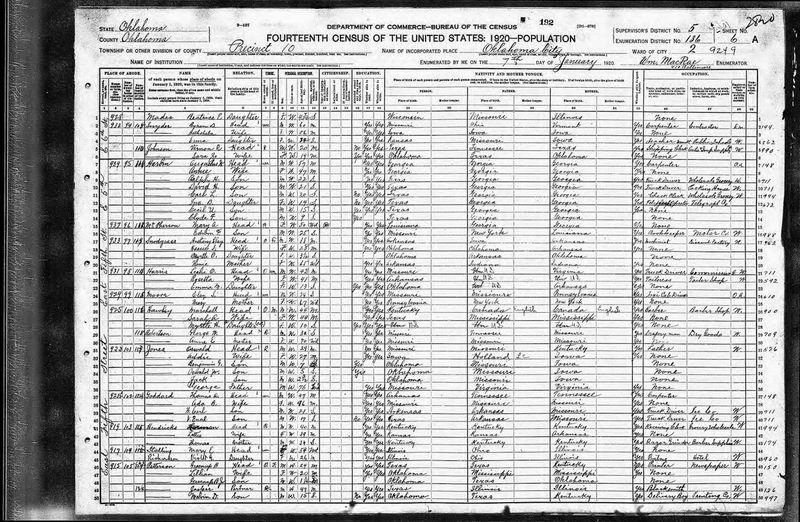 In the 1920 Census, Jasper is again working as a blacksmith, but he and his three youngest sons are living with his oldest son, Greenup and his family. 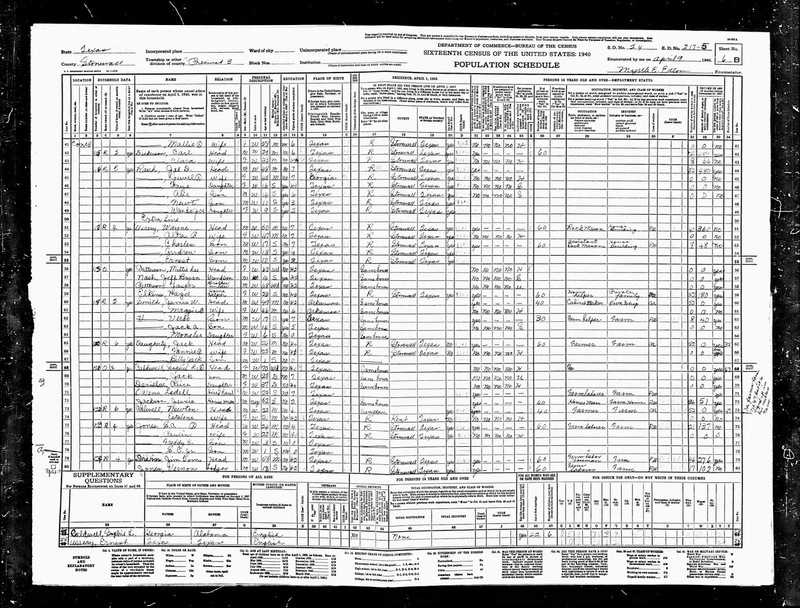 1930 Census 4/7/1930 - Indianapolis with Son-in-law Head of household. By 1930 the boys are all on their own, and Jasper is living with his daughter Maggie and her family. The depression is pretty well underway and he is listed as being a Blacksmith at an Iron Foundry, but is listed as not having worked yesterday or last regular working day. Letter from Melvin to Greenup with info about Jasper. According to the above letter, written in Jan 1932, Jasper went to visit/live with his brother Jeff Patterson shortly before he died on Oct 16, 1931. Jasper was still living there in the 1940 census. I know very little about this time of his life. We lived half a continent away. I got to meet him in 1949, however, he was living in a nursing home and he didn't remember my Dad. Not sure if he knew my Uncle who was his main care person outside of the home. Jasper with his sons Kenneth, Melvin, and daughter Florence. I'm the youngest of all his grandchildren, standing in front of him. My Uncle's wife and two daughters are to my right. He remained in the care home and died 29 August 1953. It was the first and maybe the only time I saw my father cry. 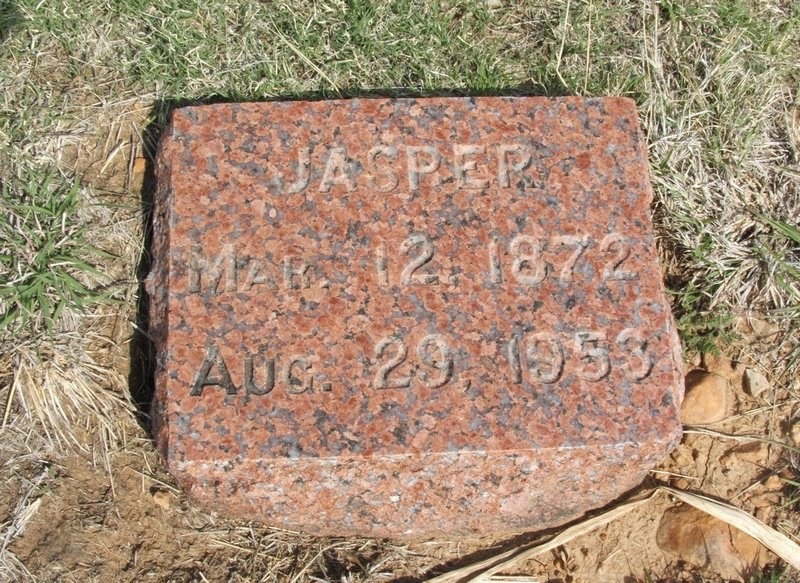 Jasper is buried in Rock Cemetery in Granite, Greer, Oklahoma along with both wives and Jasper Jr.